Just the other day I was talking about my addiction to peanut butter and how it is hard to even have it in the house because I am tempted to eat the entire jar in one sitting while watching either Criminal Minds or The Office. 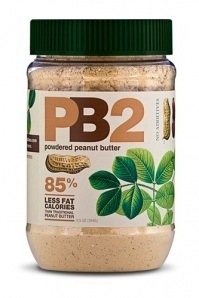 Well I just came across this newer product, powdered peanut butter! Ok, the idea might take a second to warm up to, but when you hear all of the benefits, you might just come around too! I originally found this on fitperez.com and learned that by simply adding oil and water to the powdery mix, voila! You now have peanut butter! This will solve my eating it out of the jar problem, well I would hope, and makes it that much easier to add an accent of peanut butter to several treats such as ice cream, pancakes, cereal, milk. Wow- I can’t wait to try this out! Best part is, it is 85% less fat than traditional peanut butter. Interesting!